When we come together to simplify the information and further the research - real solutions can be found. Bringing awareness to those effected and to the world that supports them is a true turning point for all with endometriosis. Sharing our stories also provides a better path to understanding the depth of the illness. There is a grey area in the field of endometriosis. Most people do not know it even exists. It effects 1 in 10 women. 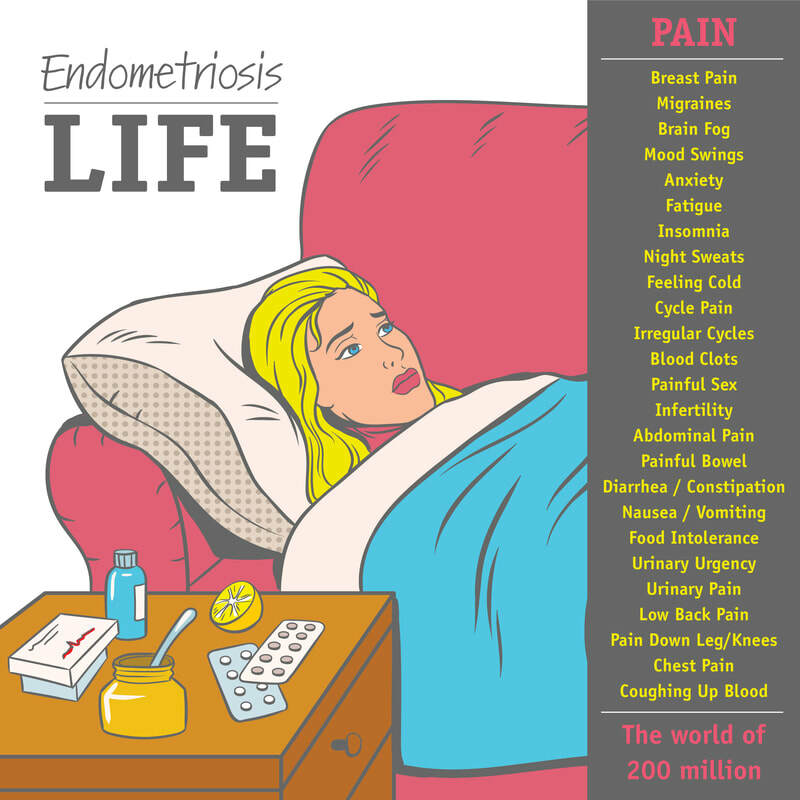 EndoStats originated from realizing people with endometriosis were living with pain - and most were not being listened to or treated with the best methods to have a quality of life. EndoStats displays the social impact, as well as, the illness in stats we live with. 176 MILLION + 68% misdiagnosed + 7-10 year delay in diagnosis. Where EndoStats is inspired from - is the voices of the many women and girls not being heard. By bringing together everyone who is impacted by endometriosis into the conversation - gives us all more insight into the depth of our health. When we bring a large community together - with a march to stand up for our rights, a support group of true friendships or collaborating with the knowledge in the field - real change can be made. With the impact on young girls and to interact with cultures and languages around the world, the information was made clear and simple. 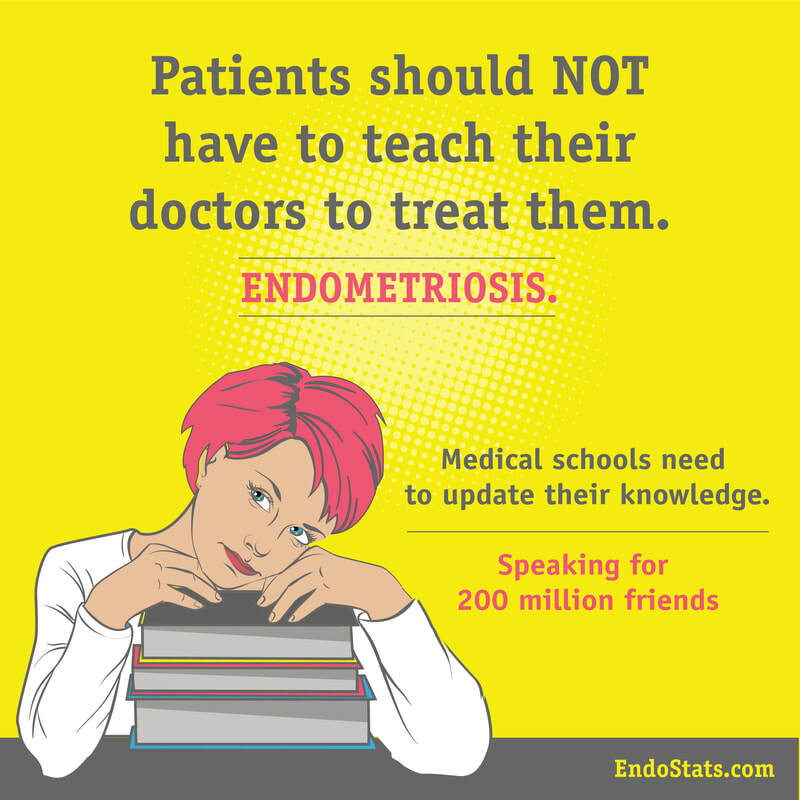 Statistic infographics have links for further reading and details from leaders in the field of endometriosis research. After discovering the depth and spread of the symptoms that are associated with endometriosis, we display how it effects the whole body. This crowd of women, who have endometriosis, have come together in order to bring more awareness into our cycle symptoms. Connecting the information from women around the world, with openness and friendship, has brought each of us strength and the ability to trust what is going on with our health.